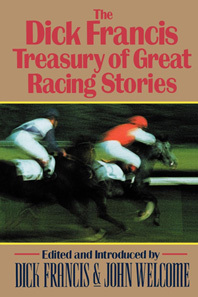 The master thriller writer and world-renowned champion steeplechase rider has selected these fourteen classics of short fiction to represent the most enthralling of all stories about horse-racing. Inside, you'll find a stableful of thrills and a few surprises from such famous authors as Arthur Conan Doyle and J.P. Marquand, Beryl Markham and John Galsworthy, Sherwood Anderson and Edgar Wallace. Brimming with color, excitement and atmosphere, here are compelling tales of dreams and treachery, horses and horseplay, Holmes and Watson, love and death, and a full complement of riders, rogues, and the fascinating royalty of the turf.